Kids really do have a way of putting things in perspective for us. Their innocence and simple-mindedness can show us what life’s priorities really are. My daughter is only 19 months old, and she has already taught me so many things about life – like how incredible bubbles really are, and how much fun swinging can be. From an adults point of view, though, I wouldn’t be too hard on yourself about work. All of us have to do it in order to provide for our kids – and all of our jobs put extra demands on us. But, I think anyway, that your priorities are in the right place. 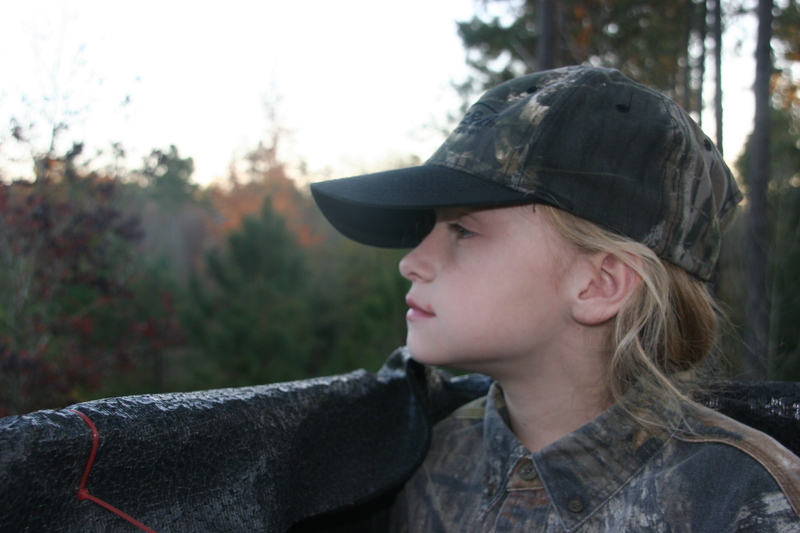 You made time to take her hunting on this particular day – phone or no phone – and that speaks immensely for what kind of dad you are. She’ll grow up one day, and she will completely understand the work thing, and she’ll always have the memories like the one you just created. Thank you for your kind words. I enjoy writing very much. I have written two more parts to this story and I am working out the kinks. Keep checkin in. I should be posting them soon. It’s our way of promoting the hunting tradition. Hah am I honestly the only reply to your great post!? Share the word with your friends. I plan to add parts 2 and 3 to the blog soon. Keep an eye out for them. Thanks for the comments. I am working hard on finding more time to write. I have several hunting and fishing memories that I am working to get on paper. I intend to share them all one way or another. please tell your friends about my site. Yeah, when you first go to the home page, it shows nothing on it. But if you refresh than it shows his last post. Children sure make you re-think your priorities!